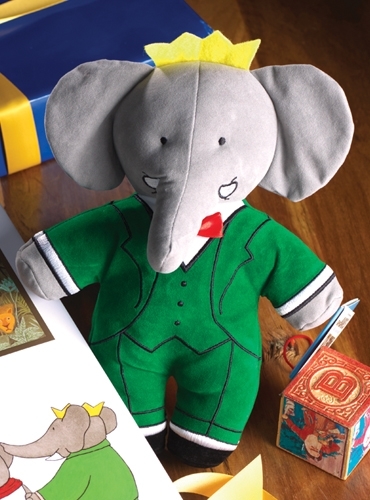 Regal Babar toy complete with felt crown and red satin bow tie! 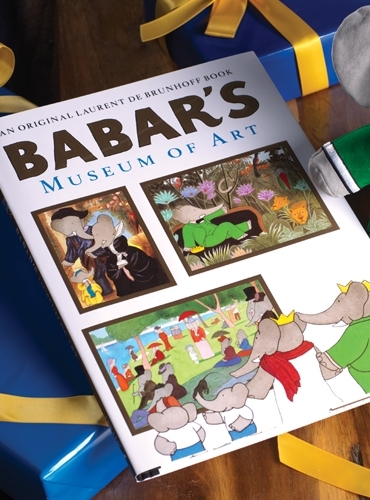 Let Babar take you on a tour through some of the world’s most notable galleries and works of art (re-interpreted with elephants as the main subjects!) in Brunhoff’s classic story book. 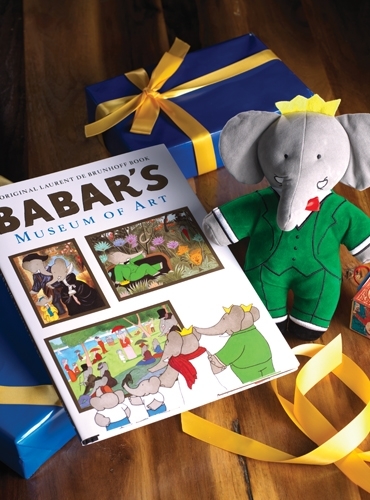 9.25” bean-filled soft toy and hard copy Babar’s Museum of Art book, sold as a set.